How about if we all get a little random today? Earlier this summer I finally got to try macarons. 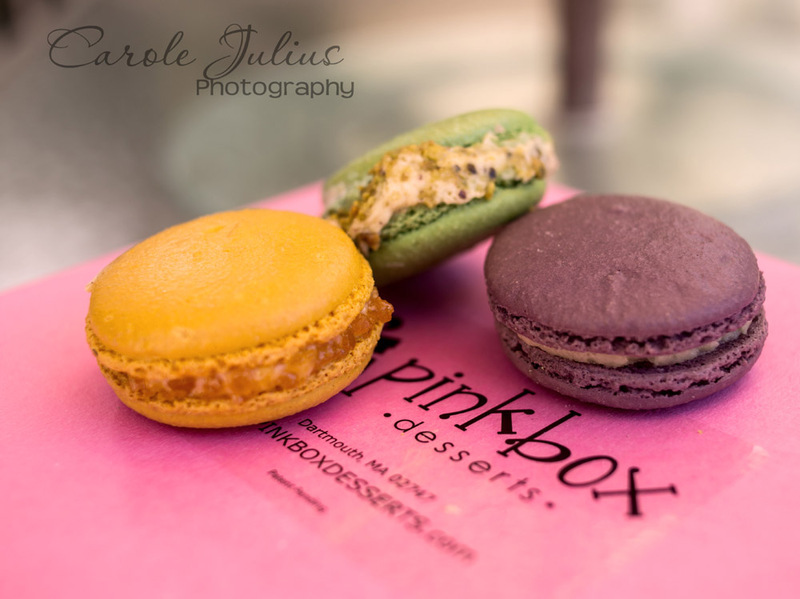 Pictured above, from left to right: creme brulee, pistachio and lavender honey. They were delicious. Expensive. But delicious. I went to renew my driver’s license yesterday because, yes, it expired on my birthday. That was 9 days ago. Whoops. Anyway, I passed the eye exam without wearing my glasses. Yippee. And, I was in and out of the registry in about 20 minutes. Double yippee. I am terribly sick of political ads on television. Seriously, another month of this? What a waste of friggin’ money. My beloved Mason had been getting terribly thin over the last few months. A few weeks ago our awesome vet diagnosed him with a thyroid disorder and he now takes a teeny tiny pill twice a day. In just a few weeks he has already gained back 50% of the weight he had lost. What a relief! I decided to alter the width of the strips I was cutting out for the table runner I was making. I did not take into account that this would mean I would no longer have squares after I joined my pieces. I am an idiot. I can still thread my sewing machine without eye glasses. At 49 years old I consider this a triumph. I finally finally finished A Winter’s Tale. It took me the entire month of September to slog through it and I was determined not to still be reading it on October 1st. I am really enjoying the podcast Books on the Nightstand. I’d love it if you have other reading related podcasts you could recommend to me. Tonight is the installation of the new president of our Kiwanis club. Yes, I am now a Past President. I enjoyed my term but I have to tell you that I am really looking forward to sitting with Dale again at meetings. And also, martinis. And that’s all the random that’s fit to print. Congratulations on completing your term as President! And those ads…ugh! Your list if full of great accomplishments! Well done, well, except for the table runner, but you’ll figure that out, too. No martinis for the president? I think my near vision has gone fuzzy because I’m far sighted. My husband, who is 5 years older than I am and near sighted, still takes his glasses off to do close work. I’ve never had macaroons either. These are very colorful! We’ve already received our ballot in the mail…if only when we voted the political ads would stop on our tv. Wishful thinking! I understand the relief after a hectic year and a job well done! HOWEVER, knowing you that void will be quickly filled! I have been wanting to see what Pinkbox is all about. Those look delicious. Our cat was diagnosed with the same thing when he was about 10. He took the same little white pills and they did help. He was always so hungry though! You couldn’t keep any food out. The last devious thing he did was find the pumpkin pie I made on top of the refrigerator and devoured half of it! It seems to be a common disease with older male cats these days. The thing out of all of these that resonates most with me is the passing of the eye test. Yay for you! I always worry about this one. Mixture of two radio programs, it is fabulous. Although my ‘to-read’ list is positively epic becuase of it! I enjoy the 2 Knit Lit Chicks podcast. They are mother and daughter and talk about their knitting and books. wow, has it been a year already? congratulations on being Past president! on the reading podcast front, I really enjoy Literary Disco (and I think maybe I’ve already shared that with you? the language is definitely R-rated, but the conversation is smart) and Bookriot (they’re a whole website with all kinds of fun bookish content). Second the recommendation of Two Knit Lit Chicks (their fan group on Ravelry is also entertaining). I love macarons! I took a class at Sur La Table to learn how to make them. It’s about $8 of ingredients for dozens of cookies!